Housed in the same building for one admission fee, the Carnegie Museums of Art and Natural History are located in Pittsburgh’s bustling Oakland neighborhood. The art museum’s collection features galleries of contemporary art, decorative arts and design, fine arts, photography, and the Heinz Architectural Center. The Museum of Natural history features exhibits displaying dinosaur fossils, minerals, gems, geological artifacts, Ice Age fossils, wildlife and ecology, and anthropology. Both museums feature special exhibits throughout the year. The Children’s Museum of Pittsburgh offers interactive education exhibits for children. Children can learn how a smart car works, build their own boat to see how it floats, learn about woodworking and circuitry. 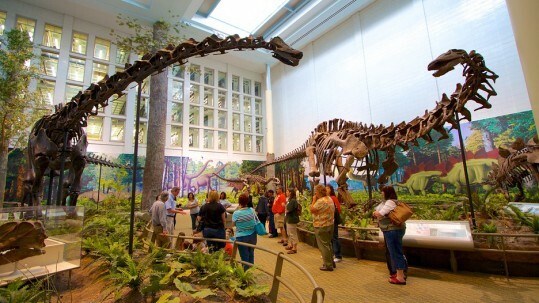 The museums was named one of the top ten children’s museums by parent’s Magazine in 2011. Visitors can immerse themselves in interactive exhibits and shows exploring robotics, a miniature railroad and village, a replica of the international space station, magnetic and lasers, the sports works, educational films in the Omnimax theatre, the Buhl Planetarium, and the cold-war era submarine USS Requin. Dedicated to one of Pittsburgh’s most famous natives, the Warhol Museum is devoted to Warhol’s work and the legacy of pop art. 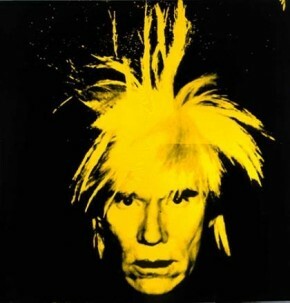 The single-artist museum features galleries dedicated to Warhol’s art, film and video, archives, and the artist’s life. The museum features both a permanent collection, and special exhibits throughout the year. For art lovers and the adventurous, the Mattress Factory offers stimulating galleries and exhibits featuring unique contemporary art. The museum’s artist residency hosts different artists every year who live at the museum as they create new work. The Mattress Factory has both permanent exhibits like the Yayoi Kusama mirrored rooms, and presents special new exhibits throughout the year. The Senator John Heinz History Center features the history of Western Pennsylvania and Pittsburgh, and affiliated with the Smithsonian Institution. The museum features exhibits detailing the history of Pittsburgh and the region’s global impact, local African American history, and the history of the Heinz company. the History Center also houses the Western Pennsylvania Sports Museum, which details the unique history of Pittsburgh sports. 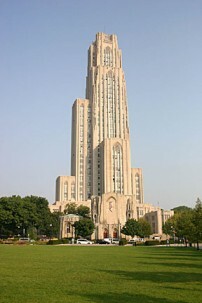 Located on the University of Pittsburgh Campus, this historic landmark is the tallest university building in the Western hemisphere. Featuring Late Gothic Revival architecture, the Cathedral houses classrooms, offices, and even a food court. Inside the main entrance, visitors will find the Commons Room, a Gothic-style hall with ceilings that extend four stories. The Cathedral also houses the Nationality Rooms, a collection of 29 classrooms that depict historical and traditional classrooms from different heritages. When classes are in session, room availability varies, but tours are available. Located just inside Schenley Park, Phipps Conservatory and Botanical Gardens offers stunning gardens and unique glass art installations in many of the gardens. Inside a Victorian greenhouse, guests will find seasonal displays, tropical gardens, stunning orchids, seasonal outdoor gardens, tropical fruit and spice plants, unique fountains, prickly cacti in the desert room, formal French style gardens, and a café offering items utilizing local produce with an emphasis on sustainability. The Duquesne Incline opened in 1877 and is the more famous of the two inclines. The upper station houses a small historical exhibit detailing both the history of the incline and Pittsburgh. Visitors can also step inside the machine room of the incline and watch as the incline operates. Visitors can also buy souvenirs and take in the amazing view of Pittsburgh on the connecting overlook. 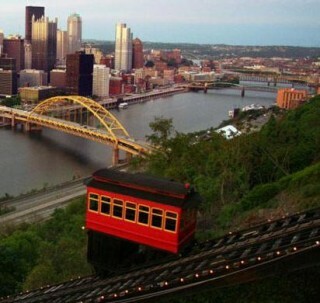 The Monongahela Incline opened in 1870 and is the oldest continuously operating funicular railway in the U.S. This incline is used every day by both commuters heading to work and visitors taking in the skyline on Grandview Avenue. The upper station is located on Grandview Ave., which features several blocks of overlooks offering spectacular views of the city. The Mt. Washington neighborhood also offers unique restaurants and shops. Located at the confluence of the three Pittsburgh rivers, the recently renovated park offers picturesque views of the city, and the famous Point State Park Fountain. The park also houses the Fort Pitt Museum, which explores the history of Western Pennsylvania’s role in the French & Indian War, and the American Revolution. Once the home of Helen Clay Frick, the daughter of famous industrialist Henry Clay Frick, the Historical Center now showcases Ms. Frick’s private art collections and showcases the home as it was during her lifetime. Visitors can enjoy fine and decorative arts, architecture, and Frick family’s historic carriages and cars. Visitors can also enjoy the grounds, and an on-site café. Admission is free, and guided tours are offered at a fee. one with the birds at an additional fee. 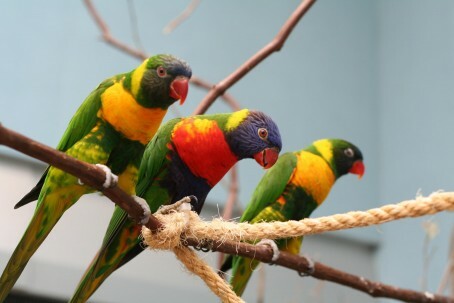 The 77-acre zoo and aquarium combo offers fun for adults and kids alike. The zoo and aquarium house tigers, lions, elephants, giraffes, gorillas, sharks, polar bears, sea otters, and many other animals. The zoo is open year round. The cultural district located in Downtown Pittsburgh features several theatres that host plays, musicals, jazz, concerts, symphony, ballet, opera, and other performance art. Visit their website for information on venues and events. For more, check out VisitPittsburgh!